Frew 2-24 is a rarely photographed emission nebula or planetary nebula in the southern constellation of�Puppis. �It was discovered in the SHASSA Survey (Southern H-a Sky Survey Atlas) by Frew et al. (MNRAS, Vol 431, Issue 1, May 2013, p 226) as a possible planetary nebula. � Almost no information is available for it. �As shown in my image, it resides in background H-a emission. �It has a complex, partial arc structure with a gap and thin outer filament. 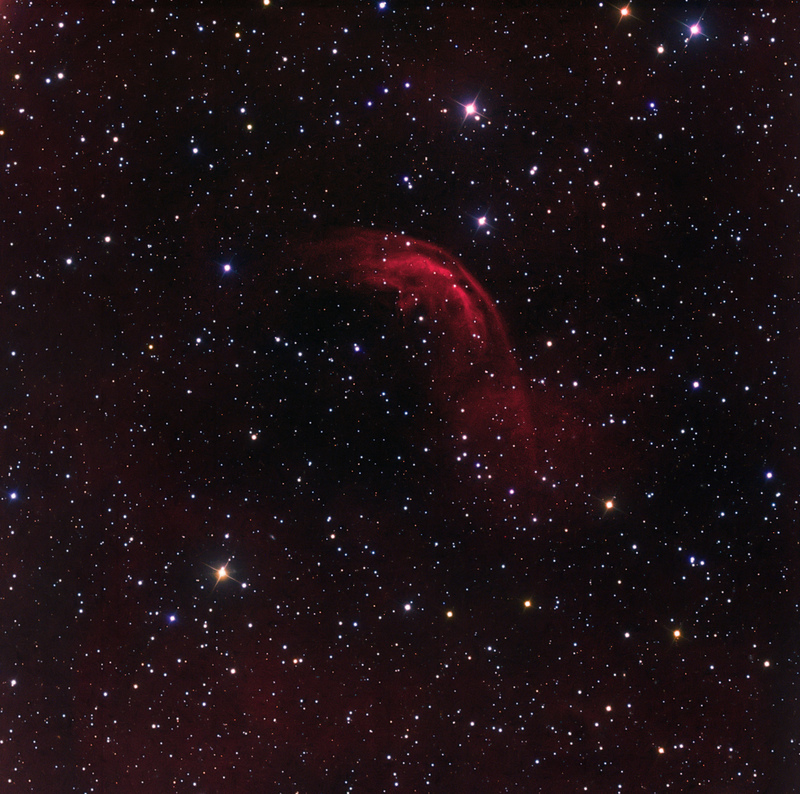 �This image results from 12.5 hours of 30 minute H-a�+ [NII] exposures,�and about 3.5 hours of RGB data for star colors. �6.5 hours of 3 nm OIII data were also taken but did not show any emission near the H-a arc to the limit of this equipment. This object will remain a mystery until additional research is conducted.